Intuit Company Information Is this your company? Add your own content to this page. We currently have 27 open jobs at Intuit. 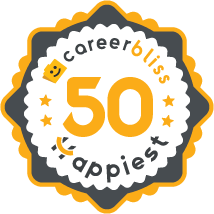 We've calculated that the average salary at Intuit is $71K based on 1,138 user-submitted salaries A total of 193 Intuit employees gave Intuit an average happiness rating of 4.1 out of 5.0. 44 Senior Software Engineers from Intuit submitted salaries. 5 This is by far the best place I have ever worked and I have told many people that I will do whatever it takes to stay here. So far I've been a contractor, seasonal and finally after a year, full time. The reason I like it here so much is the people. I have yet to meet someone that I dislike here because the ones that have a problem with the people and the culture never last long. I can't even comprehend how to have a problem with any aspect of Intuit. It's my home away from home and I feel very comfortable in both places. Within the confines of a call center you get the feeling of doom and gloom and the higher ups have a disconnect with the peons and you can feel the tension. At Intuit there's none of that. I could walk right into any office (given that the person wasn't in a meeting or on the phone) and feel just fine starting a conversation. It doesn't matter who they are or what title they hold, at Intuit, everyone is equal. Even if Brad Smith was in town I would have no problem walking up to him and asking how his flight was. We're a family and that feeling and culture runs very deep here. Even when people are having bad days they don't take it out on other people. We care, not only about our community outside of the Intuit walls but about each other as well. 2.9 I would not have a mostly outsourced recruitment team. I feel that having 90% of the department charged with bringing new employees into the company as contractors is not giving the investment to the process that it deserves. Intuit prides itself on having great talent and being a great place to work, yet the people that make this happen cannot fully participate in its offerings and benefits like full employees do. Also, ensuring that employees are connected to their results and understand how to do what they do the best and how it affects the entire company's goals is very important to moving the whole organization forward. People have lives and other things going on, to hold it against them for going to school is wrong. Having the foresight to anticipate the growth of personal computers, Scott Cook and Tom Proulx founded Intuit in 1983 in Mountain View, California. As one of the emerging software companies in the Silicon Valley area of northern California, Intuit focused on creating applications that benefit small businesses. The most well-known products that they have developed include QuickBooks, Quicken and TurboTax. With a number of competitors, Intuit rose above the crowd thanks to effective marketing techniques and positive word of mouth recommendations from their customers. Launching their products on the Internet proved financially successful for the company with many firms and individuals using their various financial websites. There are a number of viable Intuit careers that are opening to interested parties. A majority of the openings can be found in the professional fields of information technology and tax preparation/accounting areas. There are also a number of opportunities for individuals interested in providing superior customer care for the many clients of Intuit. Supportive of higher education and recent college grads, Intuit actively recruits people for internship or entry level positions that can help solidify skills and launch a successful career. Taking this route can open up many possibilities leading to an exciting journey within the working experience. The philosophy for working at Intuit is the encouragement for being true to personal beliefs. The company recognizes that the world is a unique and diverse place and as such has modeled their working environment to reflect this belief. The Intuit culture inspires individuals to be ingenious, involved and possible to any idea that is conceivably possible to implement. The company has created many platforms that allow employees to express their ideas and network with others to realize their potential. Management strives to help each individual go beyond what they originally thought was possible in their careers. Adopting a socially responsible lifestyle helps to solidify their integrity and provide exceptional service for their customers. With an understanding of the personal challenges that every individual faces in today’s society, Intuit benefits offer the support and assistance needed throughout a lifetime. Employees are provided with packages that provide the health care coverage that best meets their particular needs. In addition, the company understands that a major concern is planning for the future, and savings packages help to secure a fully realized retirement option. In addition, the company offers qualified counselors to assist with any problems that may arise during life.